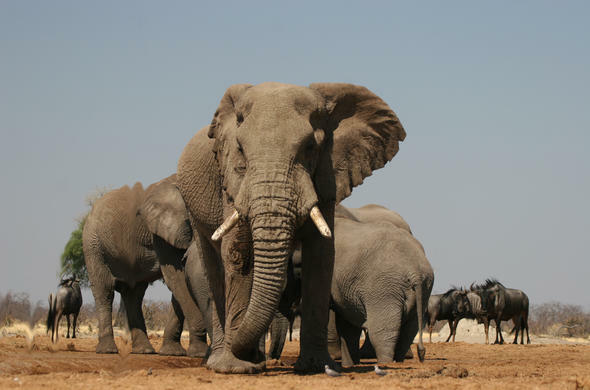 Linyanti River, in the north-east region of Botswana is renowned for having large numbers of Elephant, which are more abundant the during the dry winter months from May to November. Chobe National Park is often the starting point in this busy safari region and the Chobe River forms Botswana's northern border with Namibia. The flowing Savuti Channel and Marsh are in the interior of Chobe National Park and the Linyanti River and Linyanti Reserve run along the western boundary of Chobe National Park. 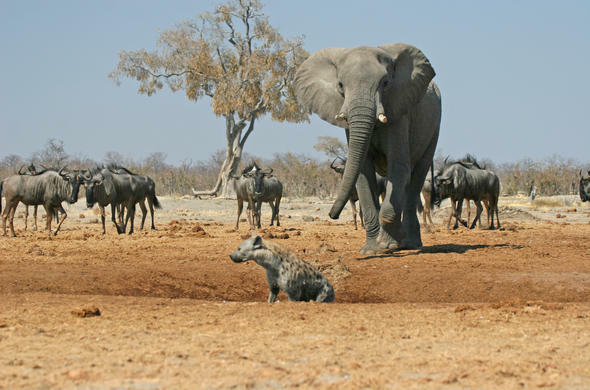 It is dry from May to October and waterholes soon dry up, so animals congregate in large numbers by the river. Leaves drop from the trees and animals become easily visible. By late October the heat is full on and the air is heavy with expectant rain. The summer rains usually fall from November to March and bring high humidity and hot temperatures. Mosquitoes breed well in these conditions so anti-malarial precautions are necessary.As the Kwando River heads south-east, its flow is abruptly altered by a volcanic fault line, which causes the river to change course 90 degrees and flow north east. The river then becomes known as the Linyanti and changes name twice more to the Itenge and finally the Chobe, before it meets and combines with the Zambezi. This radical change of course has created a large swamp on the northern bank, like a mini Okavango Delta, and attracts considerable game and prolific bird life.The Linyanti Reserve is on the south bank and has gentle lagoons, beautiful river frontage and mature woodlands of sausage trees and jackalberry leading to open grasslands and dry inland woods and pastures. Great concentrations of Elephants and thousands of Zebra spend the dry winter months from May to November along the Linyanti River, then gradually move south to the Savuti in expectation of good grazing brought on by summer rains. Beautiful horned antelopes - Sable and Roan - roam the grasslands, while Red Lechwe and aquatic Sitatunga Antelope are found in the wetlands.There is a full compliment of predators too with Leopard, Lion, Cheetah and Wild Dog, plus sneaky Hyenas, pouncing Serval and the cute Bat Eared Fox. Bird life is no less varied and the dawn chorus is something to write home about.Linyanti Reserve is in a quiet forgotten corner of Botswana, which gives the top-notch lodges exclusivity and free-roam of the area. As it is a private reserve, night drives, game walks and off road driving make it all the more attractive.